Many pet owners know that their pet will gobble up a chicken liver in a matter of seconds, but they don’t realize how beneficial this organ meat is for their pet. Chicken liver is filled with nutrients that can help boost your pet’s overall health and help keep them healthy, but it’s not always convenient to retrieve a chicken liver from the butcher and prepare it for your dog. Pet owners should know that their dog can enjoy all of the benefits of chicken liver, without going through the inconvenience of going to the butcher, by supplementing their pet’s daily diet with NuVet Plus. What are the Health Benefits Associated with Chicken Liver? • Chicken liver is a rich source of essential amino acids, B-vitamins, folic acid and proteins. Liver is an excellent source of protein for your pet, supporting muscle development and energy levels. It also contains a sufficient amount of fat and Vitamin A, which promotes longevity and quality of life for your pet. Liver, however, should only be offered in moderation. • Chicken liver is also filled with nutrients such as copper, phosphorous, magnesium, zinc and iron. It also contains Omega-3 fatty acids. These nutrients are important components of a healthy, well-balanced diet. The compounds in chicken liver aid in digestion, help to strengthen the nervous system, promote proper tissue development and the production of red blood cells. 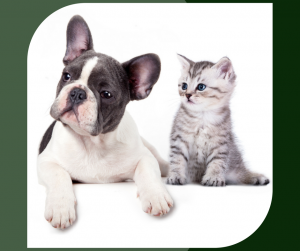 The properties in chicken liver can be especially beneficial in pets with low iron levels. • In addition to all of the physical health benefits associated with chicken liver, it can also help your canine or feline companion lead a stress-free life. Research has shown that dogs who consume chicken liver show reduced stress levels and are considered happier than dogs that do not enjoy the benefits of chicken liver. By aiding to relieve stress and support mood balance, chicken liver helps prevent your pet from participating in problem behaviors associated with stress or anxiety. It is true that chicken liver can easily be purchased from your local supermarket or butcher shop. However, that requires you to properly clean and prepare the organ before serving it to your furry friend. Luckily, there is an easier way to provide the delicious taste and various health benefits associated with chicken liver to your pet. Simply purchase NuVet Plus supplements for your pet. This nutritional supplement is designed to provide your dog with a nutritionally-balanced diet, which includes the highest quality natural ingredients. The chicken liver included in the NuVet Plus supplement is 100 percent pure chicken liver and has been paddle-dried in order to preserve the maximum amount of nutrients in the organ. For more information on the benefits of chicken liver, visit the NuVet Labs website today. Do Dogs Need Multivitamin Supplements? Dogs with Digestive Issues: You Can Help!